Born in January 31, 1967 at Lecco (Italy). Lives in Grendelbruch (France), father of Alizée. Motorsport´s fan, Marco Piana awaited to be 13 years old before he was able to participate in the first motocross race, driving a Fantic bike. Bike rider in his heart, after that, he takes karting and enters the FIA´s Federal Driving School in Italy at the age of 18. In competition, he decided to go on four wheels, but keep motorcycles for enjoyment. He drove on F3 circuits until he was 22 years old. His friend, Giacomo Vismara, with whom he drove in F3, takes him to the start of the Dakar in France, to the prologue… Marco helped him and later on, in 1998, Giacomo convinced Marco to buy a truck and provide service assistance for bikes. Marco turns his passion for rally races into a professional activity and in 2004 he creates his company, Xtremeplus, specialized in providing assistance service on race tracks with his T4 truck (race truck class). One year later, Marco started to collaborate with Polaris and takes a team from Quads to the Rally of Morocco before signing up for the Dakar 2008, which unfortunately was cancelled. In 2009, the Dakar goes to South America, and Xtremeplus enters the race with four quads. Three of them made it to the finish line, among them, Betty Kraft, winner of the women´s class. 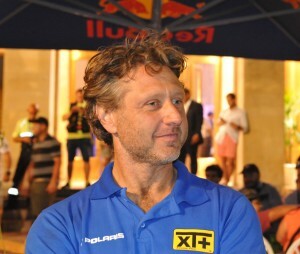 In 2010 and 2011, Xtremeplus was at the Dakar with Christophe Declerck. The greatest adventure of Xtremeplus and Polaris RZR 900XP40 started in 2011 with Thierry Magnaldi, who took the buggy to the Silk Way Rally for the very first time and finished on the 29th place! In January 2012, it´s Willy Alcaraz who launches a “Solo” race and crosses the checkered flag in the 42nd overall position, marking the victory of the T3 class and in solo. In 2013, Willy takes on the challenge again, all alone in the Polaris RZR and finishes 40th, keeping his crown of the T3 winner, and solo. Today, Xtremeplus is the only team supported by POLARIS USA and POLARIS EUROPE, recognized by its professionalism and the quality of their preparation of the RZR Turbo. 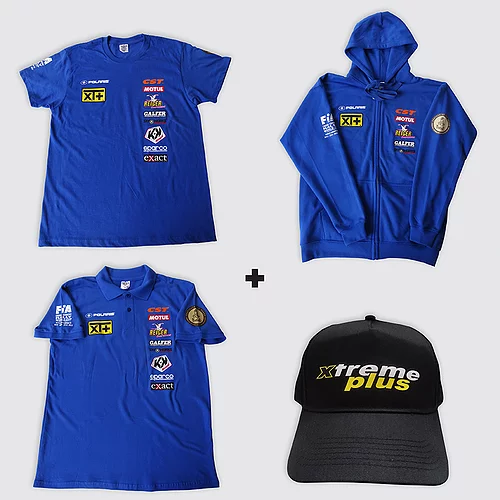 Since 2012, Xtreme Plus Factory Team has already pinned its chart of 6 wins at the Dakar and several titles of FIA world champion in T3.